The squeal Dorrie makes when you ground pound her back in Super Mario 64 is Bowser's defeat growl sped up. [QUOTE="Antisocial, post: 1629072, member: 23923"]In Super Mario World, you can control the power of your strokes by holding up or down while swimming. It's pretty much the only Mario game that has this feature. This technique is actually pivotal to SMW speedrunning! 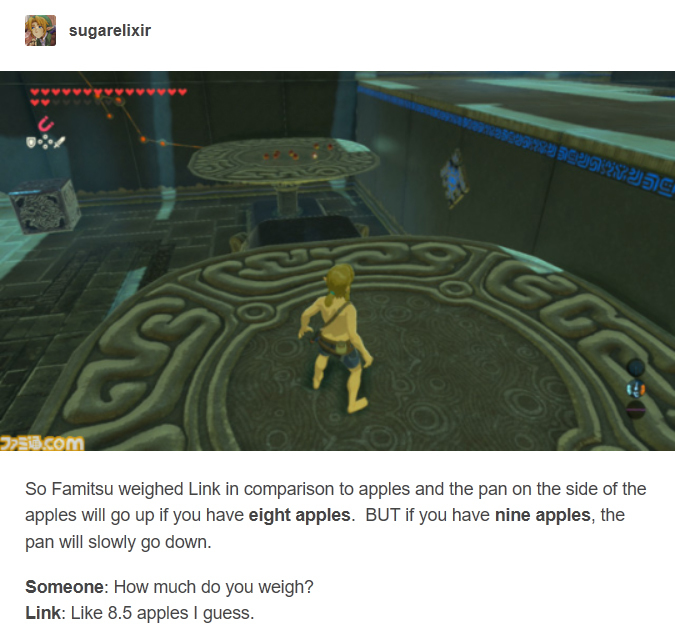 Link weighs less than nine apples. 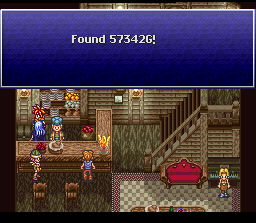 The chest behind the counter in Truce Inn in Chrono Trigger contains 57,342G. It can never be reached during normal gameplay. Instead of Mario saying "Welcome to Mario Kart! ", the title screen of the Japanese version of Mario Kart 64 has a group of children shouting "Mario Kart, oh!" I took a year and a half of Japanese class and dated a native speaker for even longer. I'm disappointed in myself for not realizing that. That's an oddly specific number. ^^I feel like my life would be incomplete without Charles Martinet screaming the name of the game at the top of his lungs every title screen. The Ganondorf Battle theme from Ocarina of Time is written in 23/16 time. So, 23 beats per measure, with the 16th note as the basic beat. There are two dogs in Tales of Symphonia named "Pepe." At the Balacruf Mausoleum, there's an NPC tourist there with his dog, and he tells you that his dog's name is Pepe and asks you to be nice to him. In Palmacosta, there are multiple dogs (like there are all over the world) that you can name by talking to them as Colette, and one of them receives he name Pepe as well. In the Japanese version of Super Mario RPG, using Psychopath on the Axem Rangers during their second stage in battle shows them wondering why they didn't just combine at the start of the battle. Doki Doki Panic is actually a licensed game that uses the main mascot characters from Fuji TV's Dream Factory '87 event. It also started out as a Mario game before being rebranded. So in a way, making it go full circle. Nobuo Uematsu, composer for most of the Final Fantasy series, claims to have had supernatural experiences as a child. In one such experience, he slept in bed until something grabbed him by the legs and dragged him around the room. In Mario Kart 64, passing through a certain part of the train tunnel with a Star active will immediately advance you one lap. In Fire Emblem Gaiden and its remake Echoes, the final boss, Duma, is required to be defeated with Falchion. To encourage this, Duma becomes immune to all weapons aside from the Falchion when his health is below a certain level. Nosferatu can, due to a programming oversight, still hit Duma. What happens is a programming oversight - Nosferatu is hard-coded to have a 50% (60% in the remake) hit rate. The game reduces the accuracy of all non-falchion attacks to zero, but Nosferatu bypasses this likely due to an oversight. As you can see, the game expects Alm to be the one to finish off Duma, since it glitches Slique out. Intelligent Systems actually is aware of this... and they left it in the remake. Instead, Duma seals off all attacks unless it is made with the Falchion... but Nosferatu can bypass this. You can also kill Duma with an Alm Amiibo, if it has the Falchion equipped. You can also do this with Marth, who uses the Falchion, and Roy, who will use the Binding blade - which was made to fight dragons. Robin and Corrin cannot kill Duma, as they do not wield a dragon-slaying weapon, and neither does Ike. Lucina is the odd one out - as she still wields Falchion. This actually is not the first time a glitch has been kept into a remake, or even acknowledged in other games. When creating the remake of Ocarina of Time for the 3DS, for example, Nintendo intentionally kept in all the glitches from the N64 version. In fact... Square-Enix does this as well. But if you know this game... you know what a lot of people did. ...cut him in half with a chainsaw. 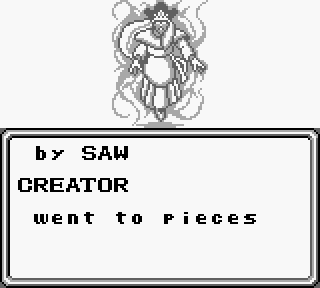 The Chainsaw weapon was glitched, so instead of working on enemies significantly weaker than you, it worked on enemies STRONGER than you. This is why you could cut God in half with a chainsaw. This is Orphan. The final boss of Final Fantasy XIII. You cannot even HURT him unless you stagger him. But if you stagger him... you can do one thing. You know Vanille's ability, "Death"? If you place Vanille into the lead, stagger Orphan, and cast "Death", it will work on Orphan. Seems weird... but SaGa and final Fantasy, especially the mess that was the XIII saga, were by different people. Well, guess what! As an homage to the famous glitch with The Creator, Death was programmed to work on Orphan. This has been confirmed by the developer. In the NES version of The Adventure of Link, enemies that purport to give you 300 experience points actually give you 301. This is because the point values for various enemies were altered between the NES and FDS versions of the game, and a developer apparently made a typo when putting in the 300 value.